These earrings are inspired by my walks in the colonial cities of Mexico, and in particular of Oaxaca where I reside. It is usual to put a grill on each window, at least on the ground floor. Each colonial house built in adobe and painted in bright colors, use imaginative themes to distinguish themselves from others. It is an art here, metalwork and an endless source of inspiration. 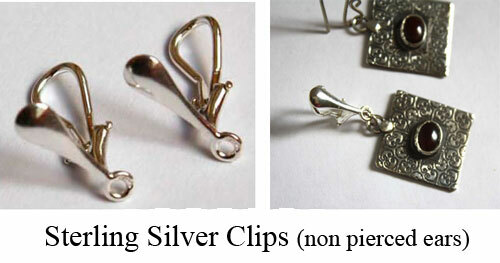 Here, these earrings are made of silver wire and are rectangular. A spiral from of one of the many windows occupies the center. It is for this reason that I chose to call them hurricanes, referring to the shape but also to this common phenomenon in our region. Tag: earrings, sterling silver, 925, swirls, spiral, wrought iron, rectangle, Mexico, mexican, art, window, colonial, protection, cyclone, climate, breath, walk, color.